Most of us enjoy a good bar of Kit Kat now and then. And even if it's not your utmost favourite chocolate wafer biscuit in the world, I am sure you would have at least heard of it or even snacked on it on one of those hungry days. But there is no other country out there than loves Kit Kat more than Japan. The Japanese, the wonderful bunch of people that they are, has taken their love for Kit Kats to a whole new level simply because Kit Kat sounds close to Kitto Katsu, a term in Japanese that translates to 'surely win'. For a country where gift-giving was a customary ritual, presenting someone with the gift that wishes good luck is just ideal. Kit Kat is in fact the No. 1 brand confectionery brand in Japan. Japanese love Kit Kat so much that they have come up with, not one, not two, not three but numerous flavors of Kit Kats specialised to each region in Japan as I discovered on my past two trips to the Kansai prefecture. 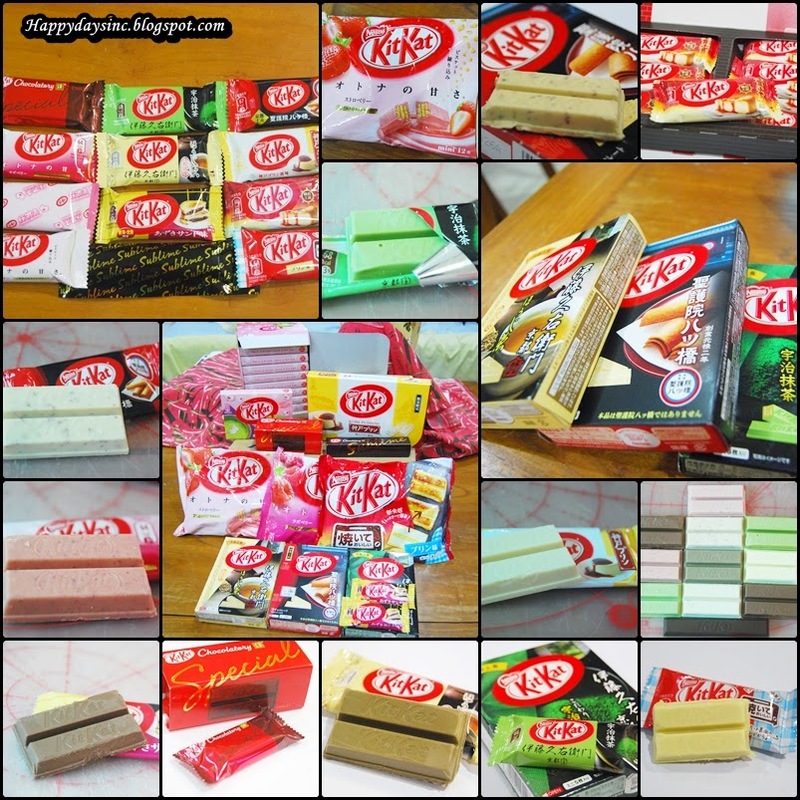 Kit Kat hunting became a side mission of mine and with the help of another friend who traveled to Tokyo, collected a number of Kit Kat flavors to try and review. Green tea is exactly what it tasted like. With hint of bitterness mixed with creamy sweetness in its chocolate coating, green tea fans will not be disappointed with this flavor. My mother has developed quite a liking for this particular flavor and gets all excited and possessive whenever we have stock in the house. It's not too sweet, she claimed. Oh yes, the famous baked Kit Kat that has caused quite a stir amongst Kit Kat and chocolate fans alike when Kit Kat Japan first announced its presence into the market. I tried it both baked and unbaked and I must say, having it baked tasted nicer as the new recipe has led to a less creamier texture and much sweeter taste for its coating. Well, given that the sugar in the coating is meant to bake faster than the chocolate can melt, it would make sense. Instructions called for two to two and a half minutes at the highest temperature but to ensure it was brown all round, I added an extra minute, watching it bake slowly through the toaster window. And the result? A crumbly biscuit-like treat. The sugar on the outside had hardened, casting off a sweet aroma that tantalized the senses and made me drool. The taste was rich and sweet, the flaky wafers inside, crumbling easily with each bite. I found it a tad too sweet for my liking and could only eat it once in a while. 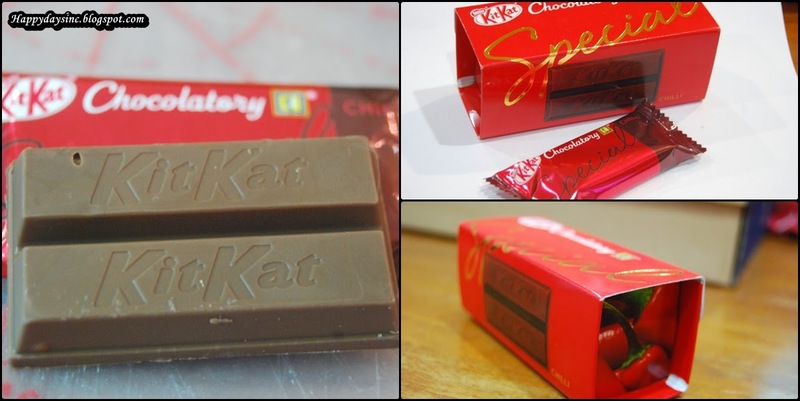 This was only available in the first Kit Kat Chocolatory in the world located in Tokyo, Japan. My friend who visited the outlet hurriedly sent me photos of their special edition Kit Kats including the Special Chilli, Sublime Bitter and the Cherry Blossom Green Tea with the simple message, 'How many?'. I quickly ordered one of the Special Chilli and the Sublime Bitter each. Not the Cherry Blossom Green Tea one though as I had a whole box of it. Upon opening the sturdy red box, I found three precious twin bar packs inside and carefully opened one. At first glance, it looked like the normal flavoured Kit Kat but at first bite, I immediately felt the chilli in it. It was sharp and lingering even as it faded away to give way to the dominant taste of chocolate. It was interested. The Sublime Bitter Kit Kat was longer than the usual Kit Kat length and boasted a thicker chocolate coating. But upon biting on it like a fine cigar, I was a bit disappointed for it tasted like normal dark chocolate. Perhaps for Kit Kat who rarely offers its flavours with dark chocolate, it was a 'special edition' but there is nothing to shout about here. Other than the fact that only 300 pieces are sold a day at the Kit Kat Chocolatory because it's made by hand. That sort of explains the pricing and exclusivity though. The cinnamon cookie was inspired by the Yatsuhashi biscuit, a Kyoto specialty that resembles roof tiles of ancient Japan or some bridge in Kyoto (different websites has different explanations). Either way, it was quite a treat with bites of cinnamon within white chocolate. If anything, it reminded me of the cookies and cream Hershey Kisses chocolate except with cinnamon for a subtle twist. Another Kyoto delight. This flavour intrigued me the most. It emitted the scent of roasted tea leaves and upon nibbling into it, found a taste that was closer to tea than the match green tea flavour. The aftertaste left a lingering flavour of roasted leaves in the back of my mouth. I supposed it was an acquired taste. I wouldn't mind having this often though. The first Kit Kat set I bought in Japan this year and as a result, ended up lugging it around with me everywhere. I have no regrets though because this was one of my favourites. Much like the caramel pudding it was modelled after, this Kit Kat offered sweet white chocolate with a hint of caramel in its after-taste. Even unwrapping it allowed it to give off its sweet fragrant scent, a hint of what was to come. Bare in mind though, some might find this too sweet. Now, this is my favourite Kit Kat to date! The raspberry Kit Kat used white chocolate as its base with blends remarkably well with the berry flavouring. The scent of raspberry instantly invaded my nostrils, teasing me with its sweet sourish taste. It was heavy on the sharp sour taste, reducing the usual overwhelming sweetness of white chocolate. If anyone is heading to Japan anytime soon, mind buying these for me? While I loved and enjoyed the raspberry, I found strawberry to be artificial and sickly sweet. The taste left me wanting water to rinse it out but my friend declared that his wife loved this the most so I gave him the whole pack to share with her. Now this one, I did not like. Red bean was an odd taste on its own and I was glad I didn't spend a yen on this. It was just weird with a fusion of milk chocolate and red bean that just didn't do it for me. I like my red bean in paste form and in a hot steam pau (bun) thank you very much. And finally the very special limited edition seasonal Japanese Sakura Match Kit Kat that only makes an appearance in spring (I am assuming la. 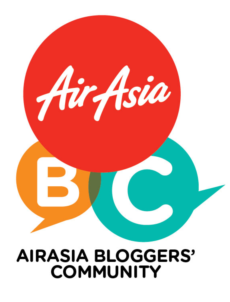 Wouldn't know until I have visited every season or stayed there a whole year...) I happened to spot this in the airport as I was rushing to catch my flight back to KL. Almost missed my flight too but it was worth it. 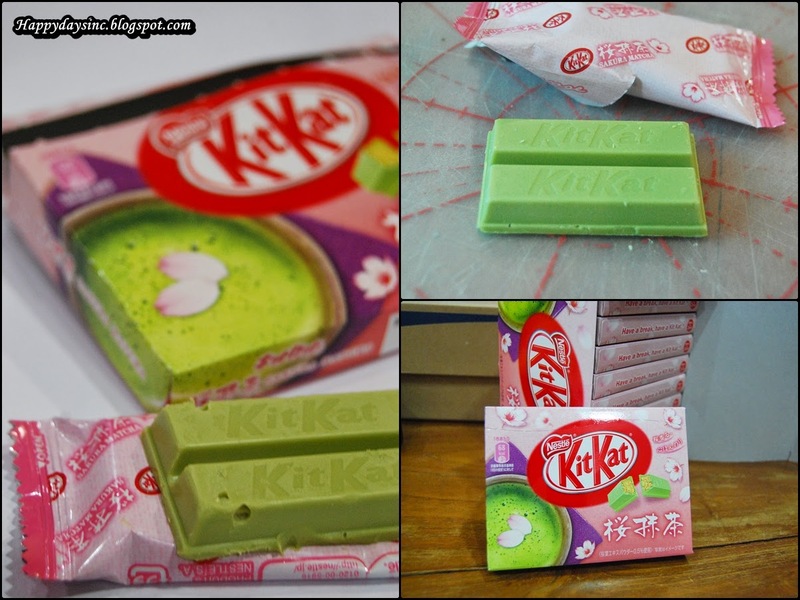 At first glance, it resembled the matcha Kit Kat due to its green hue but with a close look and whiff, the colour was actually a lighter shade of green and had a faint floral scent. Milky sweet was the term to describe its taste, attributed to its white chocolate and sakura flavour. There was also an undertone of green tea and mild spice that gradually gave way to a floral ending that lingered on my tastebuds. It was like cherry blossom season had arrived in my mouth. And on that note, I end what most likely is part one of my Japan Kit Kat review. There'll be more to come as I venture to Japan again in the years to come. So stay tune! If you have any recommendation of Kit Kat flavours to trip, drop it in the comment below along with its specialized region. Perhaps the region with the most suggestions will be my next destination of Japan. Fashion Overhaul at the Rakuten Super Sale!